The demand for intriguing and informative content is constantly rising and it is challenging for most businesses to consistently fill their website, blogs, newsletters, social media networks, and other lead nurturing campaigns with new and exciting content. They need to generate multiple pieces of content per day and every piece must be relevant, informative, and original. 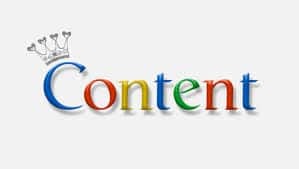 Thanks to the current Panda update from Google, content has to be more than just compelling words in an article. Search engine rankings now take into consideration images, videos, and the amount of responses you receive on social media sites. To keep up with the demand of visitors and search-bots, content must come in a variety of different mediums, be interesting enough to inspire Facebook users to “like” and “share” the information with others, educational enough to brand your business as an industry leader, and unique enough to pass copyscape. This is a tall order and incredibly challenging for most businesses. There are many different ways to hire someone specifically to handle your content creation. There are online freelance writers who will work from home on a per-basis assignment. You can hire a social media strategist or community manager as a part-time or full-time employee. You can also re-assign existing personnel in your marketing department to focus solely on writing content. Most professional marketing automation experts will include high-quality content creation in their extensive list of services. A marketing automation company can provide your business with a complete online marketing strategy. It strategically guides leads throughout their entire buying process. Marketing automation software generates leads, captures leads, profiles leads, nurtures leads, and then converts them into customers. Please click here to learn more about how marketing automation can benefit your business. You are not the only one facing the challenge of content creation. All of your competitors are scrambling to post enough content to attract and retain online followers. Check out what other leaders in your industry are posting and see if you can improve on their articles. Not every great content idea will come from the internet. Newspapers, magazines, and television are all great resources for content creation. You can also ask friends and family that suit your target demographic what type of content they would appreciate. Content is a necessity of doing business online. If you are facing the challenge of content creation, start by either hiring a content specialist or by investing in marketing automation. If you prefer to face the challenge on your own, you can research content ideas by reviewing your competitor’s content, offline sources like newspapers and television, and by asking people you know personally. Better yet, use Lead Liaison’s content creation solution to help automate your content creation needs. Is Press Release Marketing Worth the Investment?